Inside Scoop: Here’s how to increase metabolism naturally in the morning in 5 simple steps. One of our biggest jobs in nutrition is trying to teach people that losing weight isn’t only about calories in and calories out, or about eating food and then burning it off with exercise. These strategies may work at first, and are often thought to be the easiest way to lose weight, but eating too little, and exercising too much can actually hurt your metabolism’s efficiency, which may have negative side effects on your weight loss efforts. While many people think of metabolism as simply the rate at which your body burns calories or energy, metabolism is so much more than that. It’s the sum of all the reactions that happen for your body to convert the food you eat into fuel, as well as the removal of the waste that food produces. It’s necessary for maintaining life, and a healthy functioning metabolism is key for thriving in a healthy body. Your body uses nutrition for energy, and if your metabolism has been sluggish, and you’d like to improve your digestion, here is how to increase metabolism naturally in the morning, in 5 simple steps. Knowing how to increase metabolism naturally in the morning means knowing how to get your body going in the morning. Morning stretching not only feels amazing, but it also increases the circulation in your body. By stretching in the morning, your rib cage expands and gives your lungs the space they need. The more oxygen you allow to enter your lungs the better your body will be able to deal with the challenges, break down fat and start its natural process of detoxification. Simple morning yoga stretches can boost your metabolism for the rest of the day. We know the idea of waking up an extra 20 minutes early seems daunting, but taking the time in the morning to do some light exercise, or a brisk walk around the block is a great way to increase lymphatic drainage, strengthen your muscles, and kickstart your digestive system, by telling it that you need the energy. With a small amount of exercise in the morning, as well as some other simple changes, you may notice weight loss becomes a lot easier. A couple of simple tips to add some exercise into your morning routine are: walking with your kids to school instead of driving, a 20 minute strengthening yoga session in the morning, a simple strength training session before your shower, parking far in the parking lot at work, and always taking the stairs. Caffeine is a natural antioxidant, improving your digestion and metabolism. While some people say that you shouldn’t have too much coffee (which is true), there is nothing wrong with the morning cup of black tea, green tea or coffee to kickstart your metabolism. If you don’t like the taste of either of them, you can swap them to infused or purified water, maybe a fresh fruit smoothie containing vitamin C, which is another useful antioxidant. We also recommend that you can try adding nut milk to your coffee in place of cow’s milk, and there are plenty of 5 minute recipes for almond or coconut milk out there, adding extra nutrients, like healthy fats and protein, to your morning coffee without the bloat that comes from drinking milk. 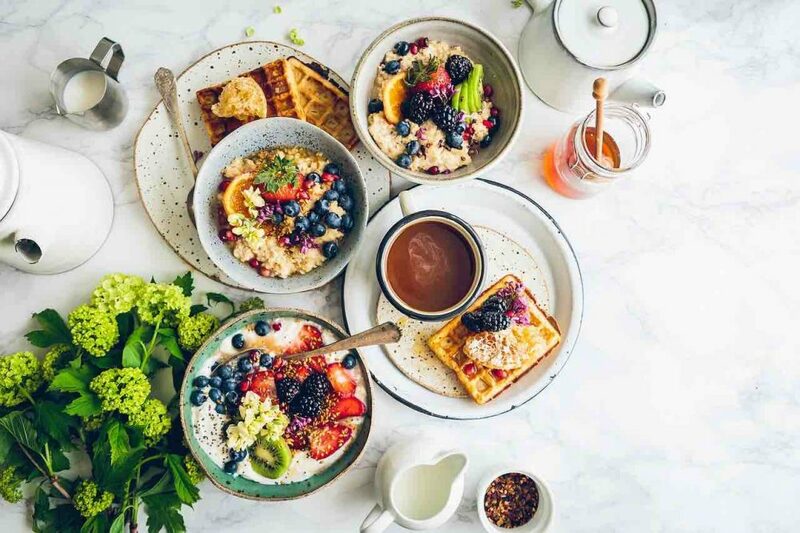 One of our best tips on how you can increase your metabolism naturally in the morning is by starting your day off with a balanced breakfast that contains all 3 of the major macronutrients. Processed carbs are a quick and easy breakfast grab, but they also cause blood sugars to spike and keep us in the perpetual cycle of craving sugar and constantly reaching for more refined and processed carbs. This makes your breakfast the most important meal of the day, and it should contain antioxidants, and macronutrients such as protein and healthy fats, to keep your blood sugars balanced, and your digestive system in full drive. 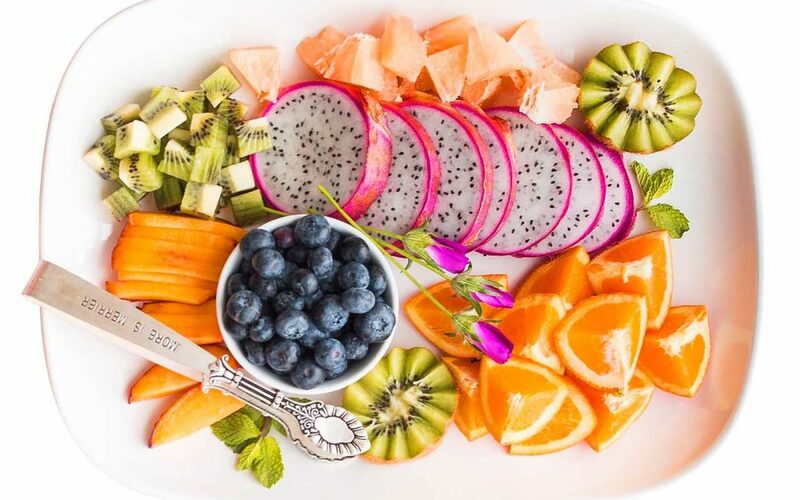 You can start your morning with fruit if you’re new to this whole morning breakfast routine, and then slowly add protein to compliment your fruit. Add frozen fruit to your full fat yoghurt to improve your digestion, and speed up your metabolism. Or, add fruit to some warm or overnight oats. Taking supplements isn’t usually our first recommendation, because we really want our clients to focus on utilizing nutrients from healthy whole foods, but there are some amazing supplements on the market that can help improve digestion, energy, and create a habitat within your body that manages stress more efficiently (which ultimately assists with a better metabolism and energy). Berries, green powders, or herbal supplements that contain a high amount of antioxidants (remember to always check with a health practitioner before taking any herbs or supplements), can become useful for a healthy morning routine. And as taboo as this seems, science is pointing towards the positive health effects of CBD oil, and its attribution to stress management, weight loss, sleep and digestion. Check out the best information about cannabidiol on CBD School to find out how you can benefit from natural remedies when trying to kickstart your health. Focusing on metabolism and your digestive system, in our humble opinion, should be one of the most important strategies when trying to lose weight. A healthy morning is going to be one of the easiest, and biggest changes to your newfound lifestyle. Start your mornings right by going for a walk, take on a light exercise routine, and drink more water. Increase the level of antioxidants in your body through food first and supplements, adding veggies and having protein and fiber for breakfast. We guarantee these small changes will help you see results, without the strict dieting.